Trinity’s Graduate Studies program, an institution of the College since 1889, will be incorporating significant changes and improvements to its program in the coming year. 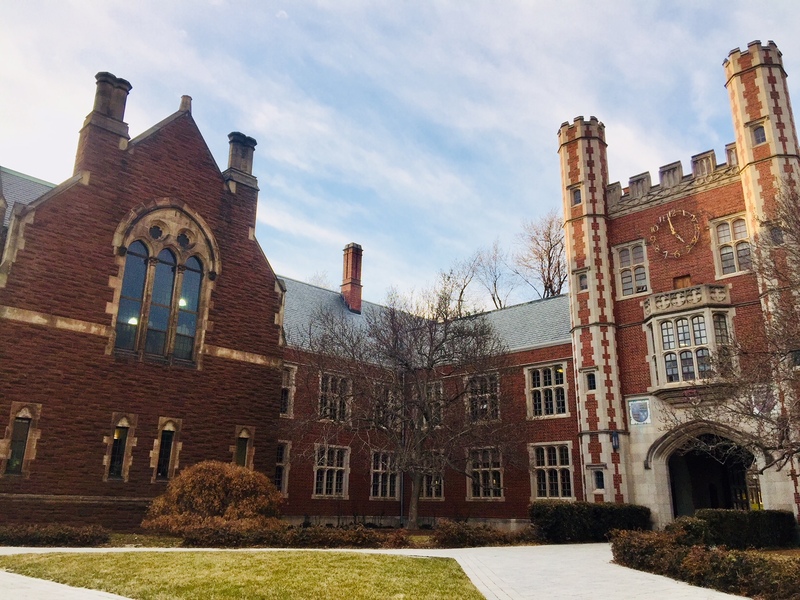 Under the direction of Dean of Academic Affairs and Strategic Initiatives Sonia Cardenas, Trinity plans to introduce a new one-year master’s program in Public Policy, take advantage of its position in Hartford, and improve the quality of its programming. Historically, the program was quite successful. Ms. Cardenas noted that graduate studies “have been a fixture at Trinity since 1889” and its long history makes Trinity “very unique” among liberal arts colleges. In fact, Ms. Cardenas noted, graduate studies were the first programs at the College to accept female students, beginning in 1927, 40 years before Trinity became coeducational. From 1955, with the arrival of President Albert Jacobs, the program saw immense growth, with M.S. and M.A. degrees offered for many majors. By the 1980s, however, the program began to shrink, leaving graduate degrees in only American Studies, Economics, English, History, and Public Policy. Since then, Economics and History have been discontinued, leaving M.A.s in American Studies, English, and Public Policy and the M.S. in Neuroscience. Questions of quality and other suggestions for improvement were outlined first in Trinity’s self-study and echoed in the 2017 New England Association of Schools and Colleges (NEASC) reaccreditation report. After a comprehensive evaluation of the school, the independent team found that “one area not addressed in the Bicentennial planning process is Trinity’s Graduate Studies program, where there seems to be no history of planning.” However, the college is currently in a “pre-planning phase” that seeks to redress this concern. The Tripod sat down with Director of Graduate Studies in English Dan Mrozowski and Associate Professor of History and American Studies Scott Gac, Directors of the English and American Studies graduate programs, respectively, to address the report’s recommendations and consider the future of the Graduate Studies program. Mr. Mrozowski characterized the English program as being consistent. “Record-keeping is steady,” he said, and “full-time tenure or tenure-track professors are teaching classes, no adjunct labor.” Regarding the program as a whole, he sees English Graduate Studies as an integral part of the College’s mission to “serve the community at large.” Academically, it “allows for a depth of advanced courses to be taught, brings non-traditional people into the classroom, and allows faculty to teach esoteric or research-intensive interests.” Although the growth of non-tuition-paying employees has been somewhat of a detriment, he believes it is important for “employee retention and well-being” for the “professional development of your labor core” to be emphasized. As for the future of Graduate Studies, he emphasized the need to present the program as more of an option for undergraduate students. Mr. Gac, in his fourth year as director of the American Studies graduate program, is optimistic about the future but recognizes a troubled past. In the past, he said, “the institution was not providing enough resources to graduates studies for what it has to do.” Despite a “decreasing undergraduate population” and a growth of non-tuition-paying employees, he argues that the result is not necessarily revenue lost, since most graduate students are not in fact employed by the college. As opposed to English, American Studies courses have been taught by non-tenure track faculty. However, Mr. Gac added, a newly redesigned curriculum will stipulate that almost every class will be taught by a tenure-track professor. Moreover, a new “5-year bachelor’s/master’s program” will allow undergraduate students of American Studies to start graduate work in their 5th year. Both English and American Studies see the opportunity to build a “bridge,” in Dr. Dan’s words, for undergraduates to stay at Trinity and pursue a graduate degree. Dean Cardenas added that the importance of Trinity’s positioning in Hartford cannot be understated, as she hopes that the new programs will also “attract people who work downtown and will find Trinity’s offerings appealing.” Mr. McMahon added, regarding the Public Policy program, that “Trinity is the perfect place for students to connect the liberal arts with the study and development of public policy.” The College will continue to explore creating new MA programs, with the potential for programming at Trinity’s Constitution Plaza location.